His father by profession is a tailor while the mother happens to be a nurse. This student who passed his advanced level at a popular school in Kurunegala in Maths was chosen for the University of Jaffna in 2018 and has entered the faculty of physics. He has undergone studies there for a period of about six months and has been subjected to severe ragging there, it was reported. Since it was difficult for him to bear it up, he had decided to say goodbye to university life, his parents have informed. Subsequently he has entered Homagama National Technology Institute. However, there too he has undergone ragging inof a serious nature and has faced similar circumstances. As ragging has aggravated, the institute was closed from last 15th without a date of reopening being notified. He has then come home utterly depressed. 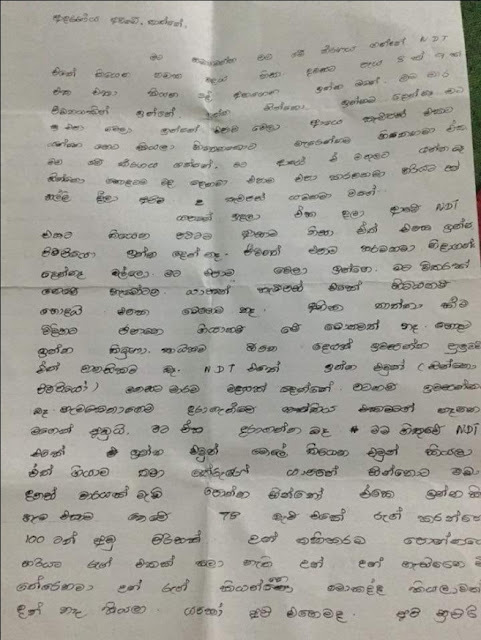 This student who has been thinking about it, at a moment when power cut was effected day before yesterday (31) evening, he has written a letter to his mother and father and committed suicide within his room. According to that letter, this is what he has written: "I couldn't bear up the ragging. On some days I had to face brutal ragging for seven, eight hours a day at a stretch. I can't bear this suffering. Therefore I was subjected to severe mental pressure". He has undergone serious mental pressure from ragging at this said institute and has been treated by a psychologist in Kurunegala on several occasions, it has come to be known. Though he has undergone treatment like that, authorities of this technological institute have not taken measures to put an end to it. The institute was closed without notification of reopening when authorities were not able to take any steps in that connection. The autopsy over the student's death was held in the presence of coroner into sudden deaths, Mr. S.M. 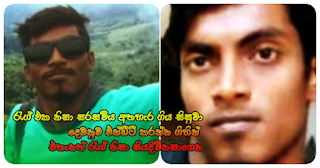 Rajarathna Banda yesterday (1) and the verdict of death was given as death due to strangling.